Artist. Writer. Amateur film maker. This was my first piece of animation and short film. I had always wanted to work with this medium, but having no proper training or know how of how the digital world of animation worked, I’d been hanging back. But then this project just sort of happened, and I thought, why not, let’s do this, I can animate. Old school. 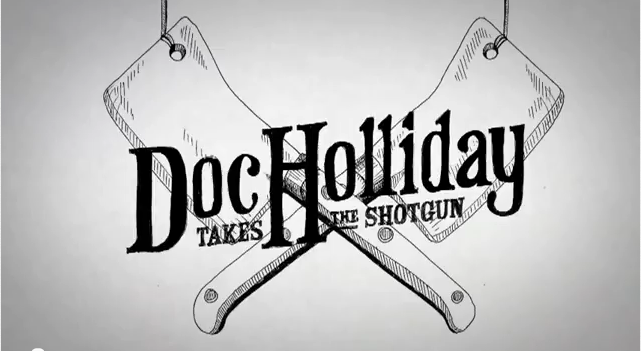 ‘Doc Holiday takes the Shotgun’ is a friends band, and they were busy working the scene and doing gigs and trying to get their name out there. So we thought hey, lets make them a music video. Now I know I just said I had never made a music video or film or animation before, but something that small was never going to stop me. Fingers in pies, and I was dying to try. I went for the old method of drawing page by page, like a flip book. Step by step process involving hours drawing at the light box. I was in heaven. 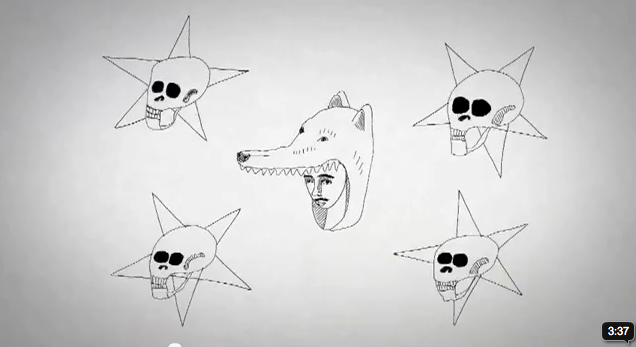 The story is a quirky little tale, about a loner dude, who walks around wearing a wolf Onesie. And I might just take this opportunity to point out that this was before Onesie’s had a big come back and were suddenly ‘cool’. He walks around, in his Onesie carrying a shotgun, and looking for love. As a loner dude with a gun the effect is that he just creeps everyone out, and the stories of adventure and love play out sadly inside his head. Until…..
Watch Lambs in Wolves Clothes.